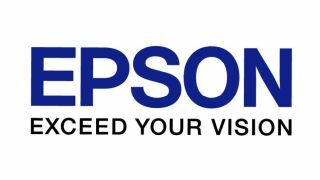 The new campus, located about four miles from its current headquarters in Long Beach, CA, will feature an Epson Experience Center showcasing the company's latest technology and solutions. Epson America will be moving into a corporate headquarters in Los Alamitos, CA, approximately four miles from its current facilities in Long Beach. Scheduled for summer 2020, the move will accommodate Epson’s continued product and workforce growth needs as reflected in the Epson 25 strategic vision and expand its current operations to more than 150,000 square feet in a two-building, state-of-the-art campus. In addition to open and collaborative office, conference and technology lab facilities, the new Los Alamitos campus will house a new Epson Experience Center that will provide opportunities for Epson customers and partners to interface with its technologies and business solutions. In phase 2 of the Epson 25 business plan, the company aims to transform business operations to achieve high profitability. Ongoing projects include initiatives in inkjet printing, projectors, wearables and robotics. The new campus in Los Alamitos will broadly incorporate Epson’s latest business solutions, including digital signage, laser projection, enterprise workgroup, and large format printers. The new space also allows Epson opportunities to further its commitment to environmental sustainability through EV recharging stations and increased efficiency in systems throughout the buildings, as well as employee wellness through spaces dedicated to employee collaboration, rest, focus, and fitness. Epson’s existing warehouse facilities will remain in its current location in Carson, CA.